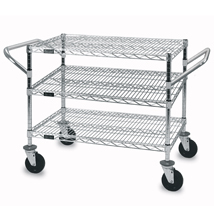 The 3 Shelf Utility Cart has a 500 lb. weight capacity. Chrome finish. 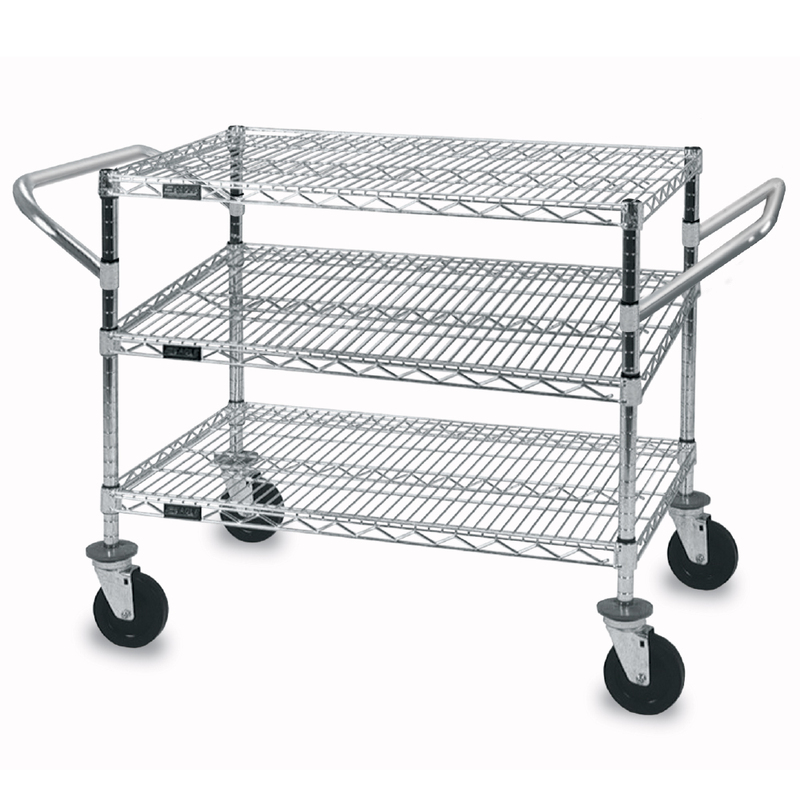 The Utility Cart handles and shelves are adjustable to any height. 4 in. rubber swivel casters.